Rafael Lucchesi is an economist and university professor. 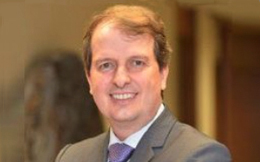 He holds the dual position of Director General of Brazil’s National Service for Industrial Apprenticeship (SENAI) and of Director of Education and Technology of the National Confederation of Industry (CNI), a position in which he has been promoting the coordination of business initiatives for education and technological innovation in the quality of chief executive for the Euvaldo Lodi Institute and the Social Service for Industry, in addition to SENAI. He has held several positions in the private sector and in government, including those of State Secretary for Science, Technology and Innovation in the State of Bahia and of President of the National Council for Science, Technology and Innovation.